Word on the street is that we aren't getting a R version of the 2010 Volvo S60, but that hasn't stopped Swedespeed from some wishful photoshopping. 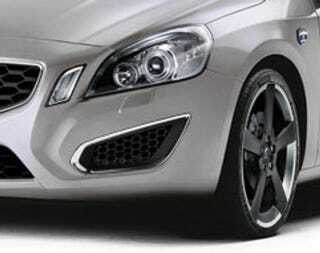 Volvo S60: New Look Just In Time For New Overlords! They envision a lightly hotted up version of the standard car more in the mold of the S4 or 335i than the M3 or the P2 generation S60R and V70R. Why? Volvo fans don't want to go faster, they just want to look faster.